ROOTSTOCK Plant & Garden Festival presented by Duke Energy returns to Bok Tower Gardens Saturday, October 20 from 8:00 a.m. to 5:00 p.m. 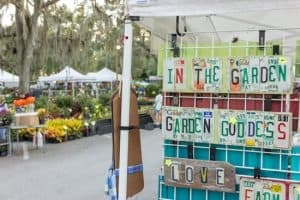 The festival features dozens of plant vendors with hundreds of plants for sale, amazing musicians, healthy cuisine and a spectacular display of seasonal foliage. Members of the Gardens get a sneak peek and opportunity to purchase plants Friday, October 19 from 5:00 p.m. to 8:00 p.m. members also receive a free succulent from The Shop at Bok. 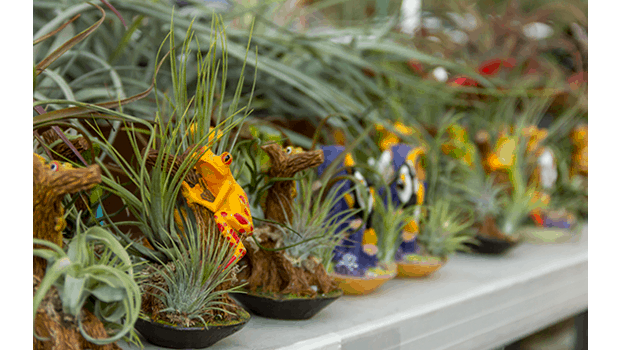 Over 40 VENDORS from across the state will offer a variety of plants for sale including: orchids, plumeria, palms, herbs, tropical fruits, Florida natives, bonsai, aquatic and bog plants, ferns, bamboo, roses, heliconias, bromeliads, tillandsia air plants, and many more. Garden art, bird feeders, stained glass, pottery, wind chimes, lawn ornaments and other garden accessories are also available. The Shop at Bok will feature an interactive succulent planting station offering festival attendees professsional design and assistance along with many great plant specials. Resident carillonneur Geert D’hollander will perform live half-hour concerts on the 60-bell Singing Tower carillon. The Gardens’ Blue Palmetto Café will prepare a fresh menu of garden-to-table favorites. Oasis Catering will also offer additional food vendors with a variety of menu options. Known as Florida Cranberry, Roselle is a beautiful and edible native plant. Enjoy samples of Roselle tea served in the Outdoor Kitchen. Hammock Hollow Children’s Garden will provide additional family fun with nature play guides, crafts, interactive displays, live animal displays and nature exploration. EVENT SPONSORS include presenting sponsor Duke Energy and Visit Central Florida. Additional support is provided by the State of Florida, Department of State, Division of Cultural Affairs and the Florida Council on Arts and Culture.